Operating Days: Monday - Friday from 10:00 to 19:00, Saturday from 10:00 to 17:00. Palma is an amazing place to explore by Ninebot. Choose between several popular tours with guide from 45 minutes to 2 hours; Enjoy the wonderful Mallorca’s atmosphere, beautiful views to make great pictures. Our guide will teach you to ride Ninebot and tell you about the attractions that you will encounter on your way. 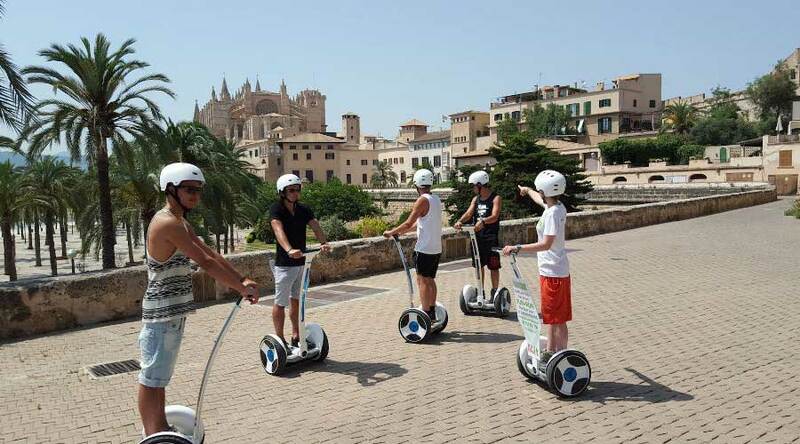 Tours on Ninebot is the best way to see Palma!